To focus purely on the story & make a tighter version. As a result scenes I have taken out weren’t down to whether I thought they were any good or not, but because I didn’t think they were necessary to the overall story. 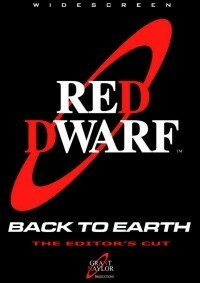 Back To Earth seemed to divide Red Dwarf fans as much The Phantom Menace divided Star Wars fans. When a movie is this divisive there is no way one edit could satisfy everyone. As a result I have in no way made this edit to please anyone but myself. But, I am sharing this edit on the off chance other Red Dwarf fans may enjoy it too. The only concession I have made for others is to produce 2 audio versions. The fact there wasn’t a studio audience seemed to be one of the most divisive factors of BTE, so 2 audio tracks have been made. One with a Laughter track & one without, the edit it self is the same but now you can watch it with the audio version that you prefer. Personally, I felt there was as good in BTE as there was bad. So I decided to focus purely on the story & make a tighter version. As a result scenes I have taken out weren’t down to whether I thought they were any good or not, but because I didn’t think they were necessary to the overall story. Also, a special mention to Harman. This edit hit the buffers because of terrible audio glitches & I was very close to not releasing this edit as a result. But, Harman kindly offered to do the audio for me & as a result of the months of hard work he put in this edit can now be released. There are also minor cuts in the remaining scenes, but I’m not listing those cause there’s too many to list. 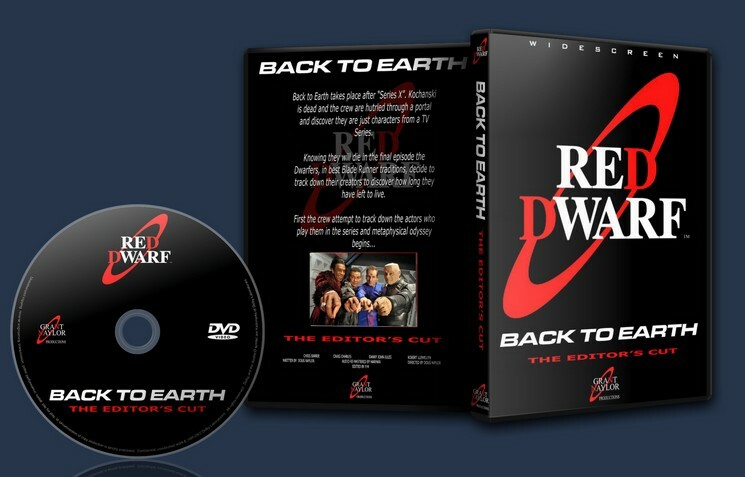 In preparation for my fanedit of Back to Earth, I watched this edit for comparison notes. The edit started off well, and the Holly introduction was well done, but it went down hill after that. The video quality was alright, the audio editing was well done for the most part (although, there were times when it was out-of-sync), but the biggest problems were with the narrative. The editor cut out scenes that set up jokes, but left in the payoff. For example, they cut out the scene where Lister annoyed Rimmer, which set-up jokes for later. But the scene where Rimmer was annoyed by the hot science officer, was left, meaning the jokes don't work at all, as the scene is the payoff for jokes in a scene that was cut! Also, the editor left scenes go on for too long and the CGI is awful. I know that fixing CGI was hard, but couldn't the editor just cut it out, or replace it with model shots from series 1-5 (this edit was made before series X). Overall, a very mixed edit. Don't waste your time on it. Just finished watching this and enjoyed it. The story is fully intact, minus some of the more Series 8-ish forced humor/cheap laffs that bugged me about the original version. (Rimmer ramming himself into the table over and over still makes me laugh, though. Poor guy!) The audio and video are top notch and the option to have a laugh track is kinda neat. I watched it without, then watched some with it later. Makes it feel more like a true episode for sure, especially in the opening scene where Cat is describing his encounter with the squid. The new opening, closing and Holly intro were a nice touch as well.